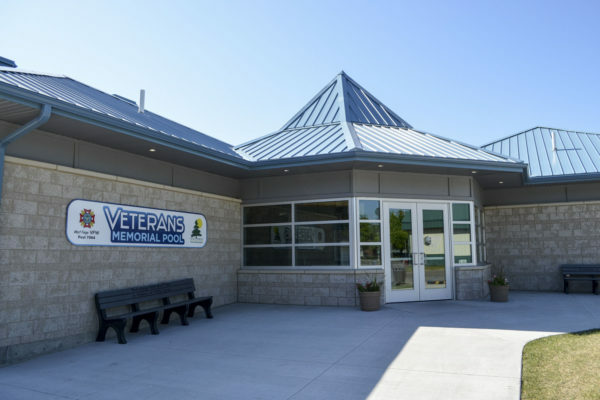 The Veterans Memorial Pool is closed for the 2018 Season! *Water slides not available during this session. 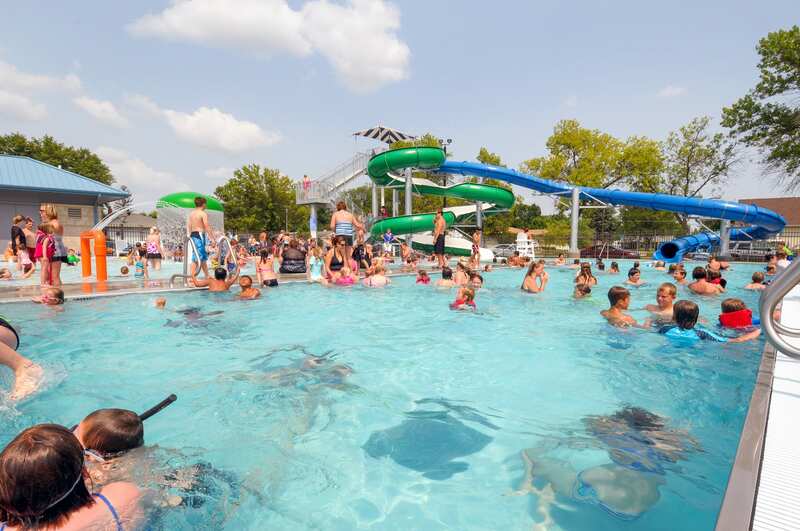 $3.25 – Includes the use of the watersides for all guests 42″ or taller. Punch cards are available for $30 and include ten admissions. Admission Policy: Children under the age of 1 are free. All other guests that enters the pool must pay an admission fee. Admission must be paid for each session attending. 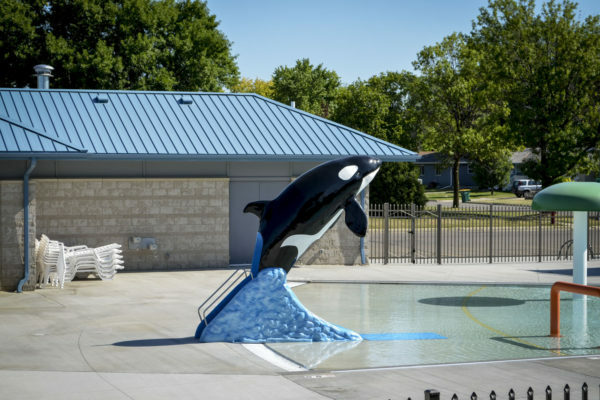 Weather Policy: The pool will be open when the air temperature is 62 and above. 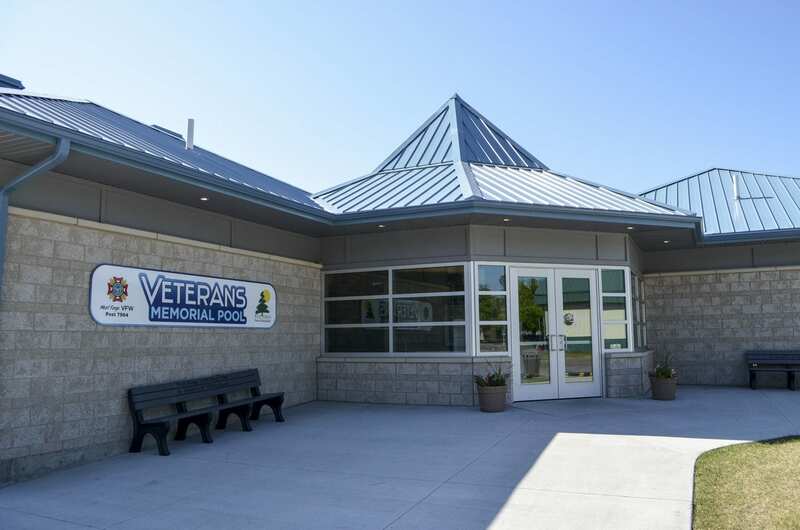 Diaper Policy: All children who wear diapers are required to wear water proof diapers while at the Veterans Memorial Pool. This is for the safety of everyone. Food Policy: No outside food is allowed in the pool area. Concessions are available. 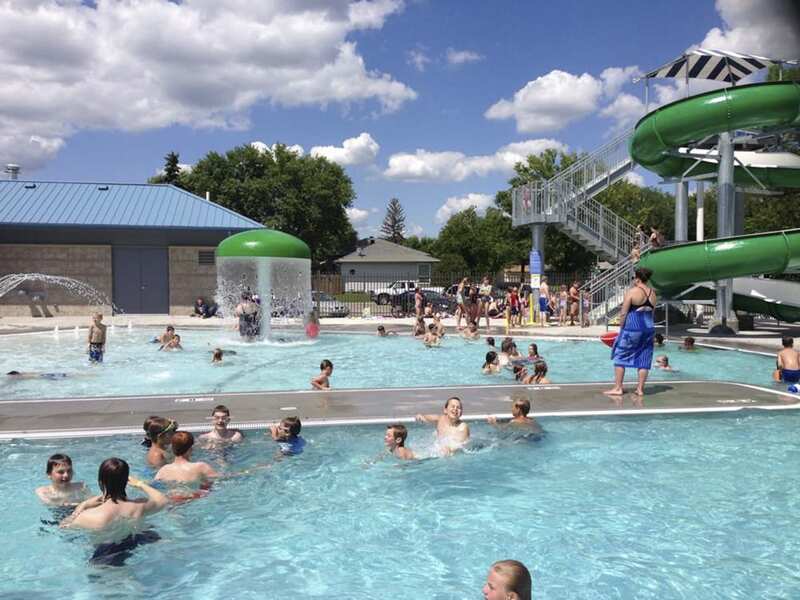 The West Fargo Park District provides lifeguards to ensure that all patrons are safe while swimming. Groups are responsible for providing supervisors to enforce rules, maintain safety and help discipline their children when necessary. All young children must be supervised according to the rules below. • Food in designated areas only. • No outside food or beverage allowed, concessions are available. • No bandages or open sores will be allowed in the pool. 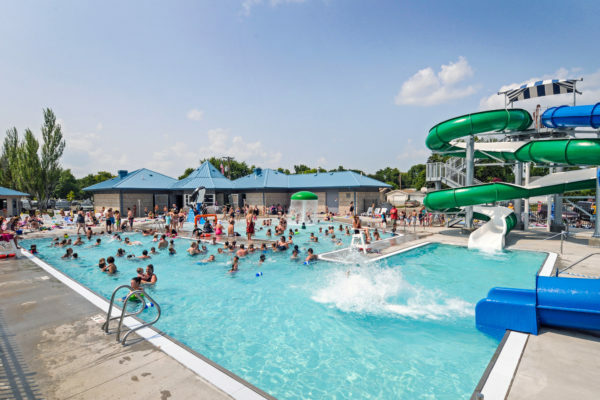 • No cutoff shorts or basketball shorts allowed in the pool. • No hair pins, elastic or plastic hair bands. • Waterproof plastic diapers are required for diaper-aged children (available at the concessions for $2). • Inappropriate behavior as deemed by management will be cause for expulsion from the premises. • Supervisors must be 16 or older. 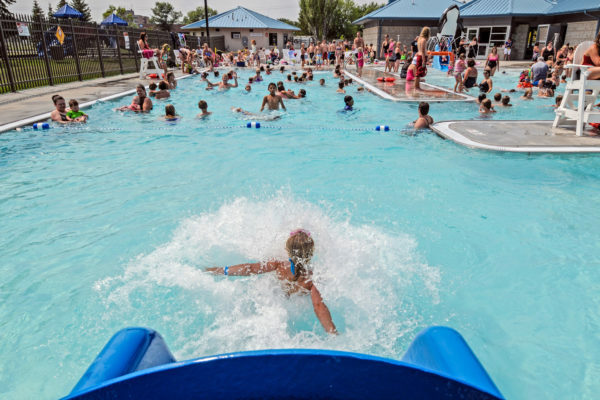 • All children 8 and younger must be supervised (children 9 and older may enter the pool by themselves). • There must be at least one supervisor for every 8 children. • Coastguard approved life jackets and swimming shirts are allowed, water wings are not acceptable. • All riders must be at least 42″ tall. • Maximum rider weight is 300 pounds. 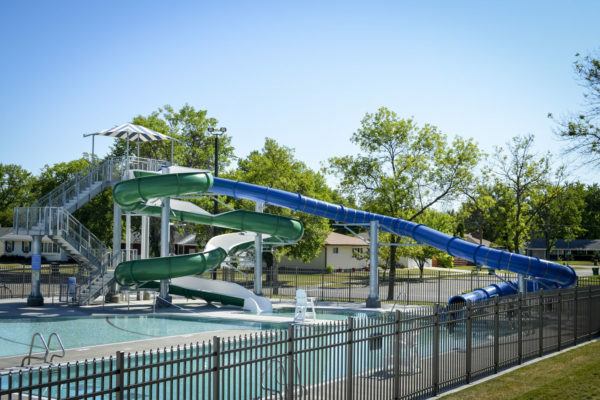 • Water depth at the end of the slide is 3′ 6″. • One rider at a time, no exceptions. • Rider must wait for the attendant’s signal before starting and go feet first while lying on back with arms crossed. 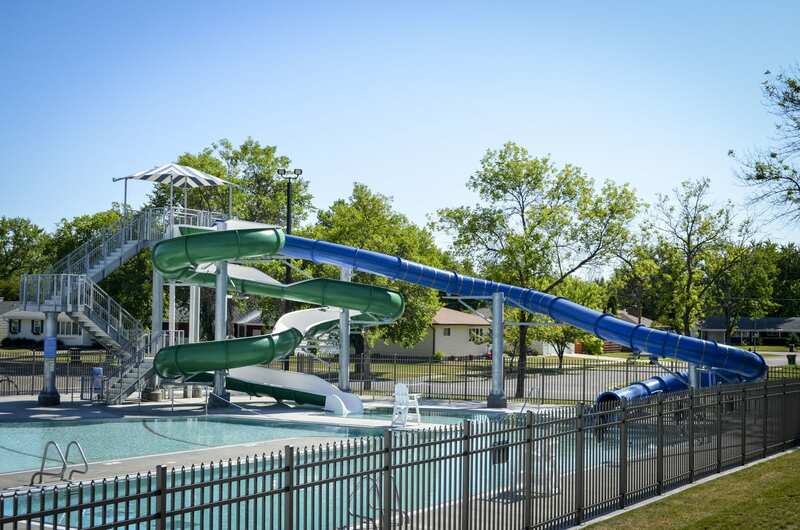 • Parents are not allowed to catch a rider at the end of the slide. • Do not go down slide head first, sitting up or propel self into the ride. • Swimwear with exposed zippers, buckles, rivets, or metal is prohibited. • Eyeglasses must be securely affixed to the rider with a head strap. 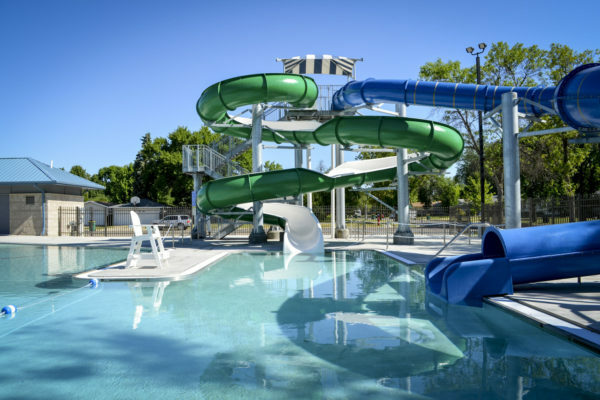 • No tubes, mats or life jackets are permitted on the water slide. • Pregnant women and any person with heart condition or back trouble should not ride the slide, riders should be in good health. • Rider assumes all risk of injury due to misuse of this slide or failure to follow these rules. 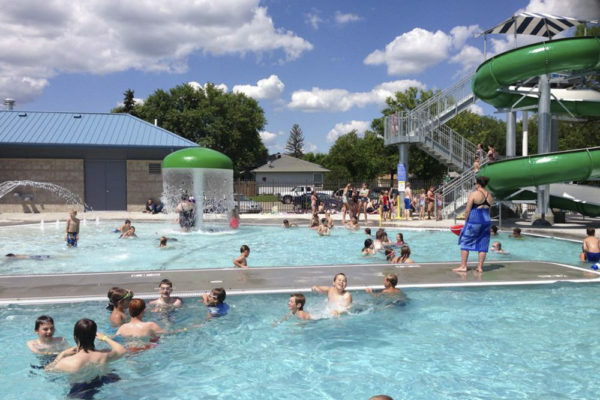 • Other rules not listed are posted at pool facility.